Anglo Belgian Corporation, a leading European manufacturer of medium speed engines, has been issued with the Bureau Veritas approval and notations for its hybrid solutions. 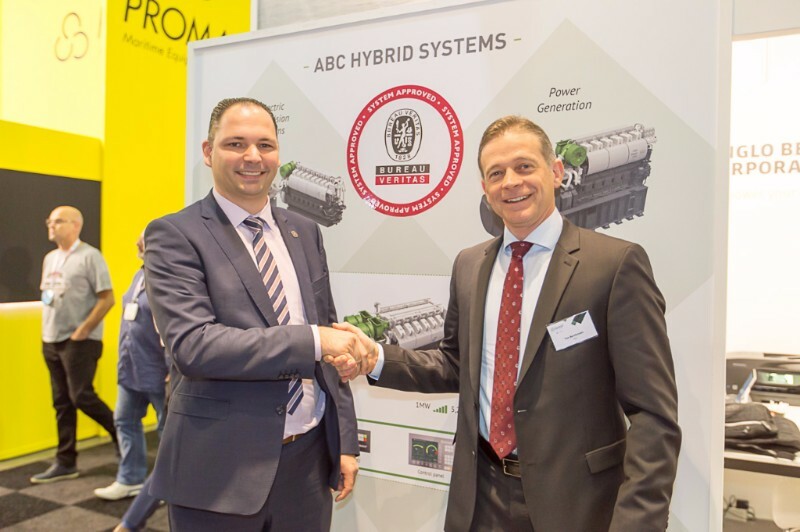 Now, with the hybrid system’s approval by major classification company Bureau Veritas, ABC is able to offer serial hybrid propulsion systems for workboats and, in collaboration with selected industrial partners, can serve as a one-stop shop for complete propulsion systems for its customers. The approval makes it possible for the company to offer a hybrid propulsion system with various options including main engines, complete generator sets, power management systems, alternative power sources and even complete propulsion packages. ABC serves as a one-stop shop where customers can assemble a propulsion system for their specific requirements. Given the current and future environmental regulations, these types of systems provide a flexible solution to answer current and future demands of customers. The approval incorporates a brand new BV notation, ‘Electric-Hybrid’ – released by Bureau Veritas in July. The first target market for these hybrid systems are workboats such as tug boats, utility/support vessels, pusher boats, OSV’S, platform supply vessels and many more. Both the combination of mechanical and/or electric propulsion systems (up to 15MW) belong to the offer. As a result, ABC can also respond to the demand of inland waterway vessels, tug boats, coasters, container feeders, dredgers,military applications and many more. Whatever the complexity of the solution, keeping a simple, mechanical and reliable medium speed ABC engine, at the heart of the system, ensures your safety and return on investment.